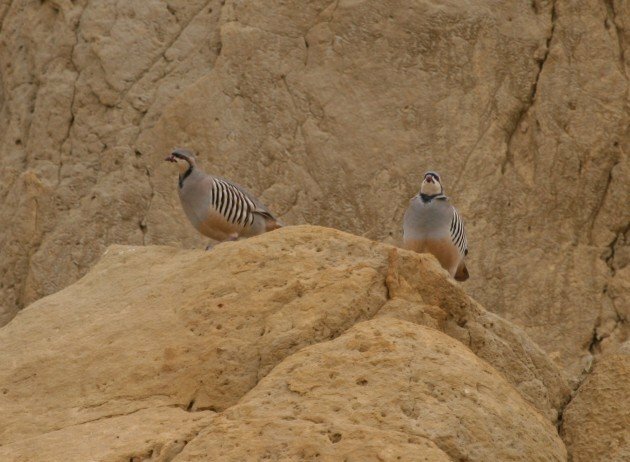 The Chukar is the most widely distributed and the most numerous of all the partridges that scientists assigned to the genus Alectoris. All these factors combined make for a great bird. Its range is not difficult for an Old World birder to visit, and once there the bird is not hard to find – for a partridge. 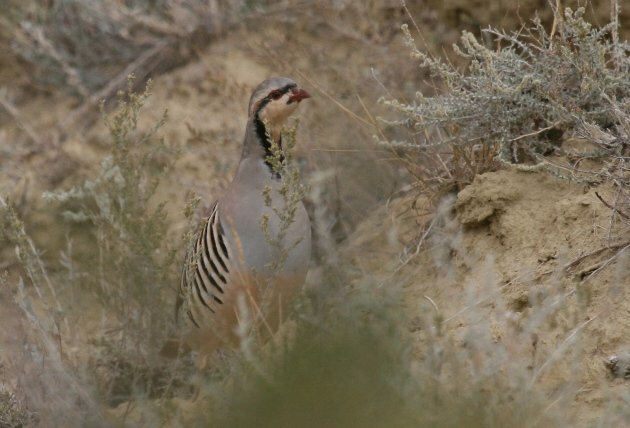 Then there is the fact that its plumage (the original to the copy-cat New World quails) can easily rival many a spring’s warbler, and there you have it: just look up “marvelous” on wikipedia and the first thing you see is a full-sized image of a Chukar grinning at you. 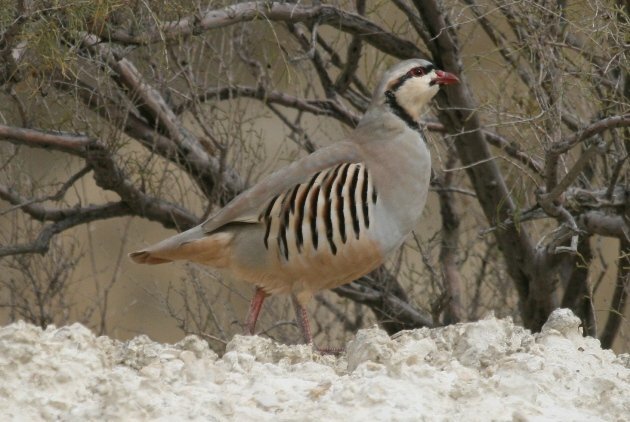 Oh, in case you do, you know, look up “marvelous” on wikipedia and can’t find a picture of a Chukar: it was recently edited away on the grounds that birds can’t grin. 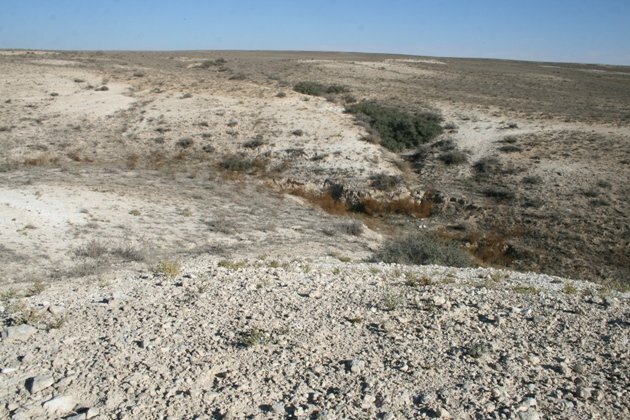 Kazakhstan’s Mangghystau province. 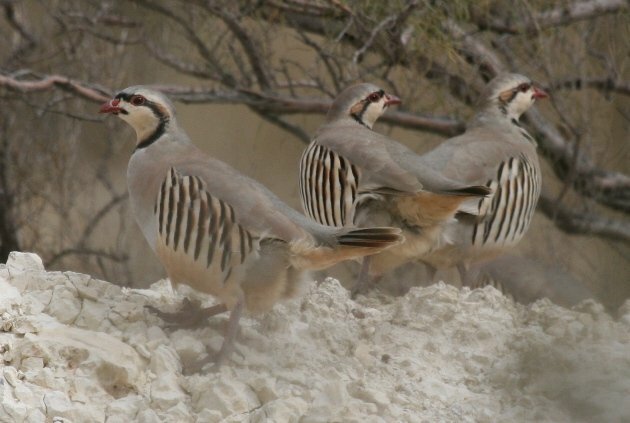 If your place doesn’t look anything like this, then you shouldn’t be seeing Chukars! And the caption of the picture above is the point of this post: sometimes the choice of where to roam isn’t theirs. Indeed, the Chukar was and is being widely introduced to many parts of North America (not necessarily always for birding purposes), where it is regularly found out West but pops up here and there in the East as well. Chukars of North America can tell you a lot about the mind-set of birders roaming that particular continent. Because birders like Chukars. They don’t like House Sparrows and they sure feel no sympathy whatsoever for Starlings. But Chukars are okay. You may argue that they don’t wreak the same havoc with the indigenous species as do the two aforementioned invasives, but that would be a rather avicentric view. 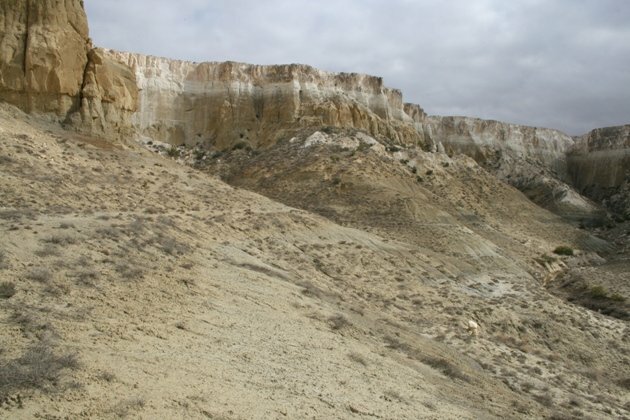 If you were a botanist, or a seeding tuft of grass out West, you’d certainly disapprove. Seed eaters looking for the next kill. Willets used to nest here. Then came the Chukars. Is that the Chattanooga Chukar? Boy can I look at it, too? 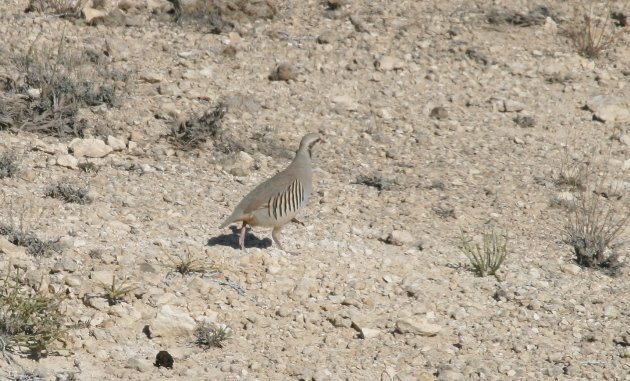 Wooo, wooo, Chatta’ Chukar there you are! Until I yell that it should not here roam! won’t you shoo-shoo back home? * I might have never been to Tennessee and might or might not have made this up for the sake of a story to tell. Guilty as charged. County birding, particularly rural county birding, does strange things to birders. Have always loved that song, but didn’t know those verses. Well done! Great photos, too. I was surprised to see a lovely Chukar once on the Big Island of Hawaii. I live in WNC at about 3400 ft elevation. Our neighbor has free roaming chickens, that roam our property. He called and said he sees a bird he hadn’t seen in NC. It wandered down to stare at us on our porch. It was a Chukar. We tried to feed it wild birdfood, but it did not eat. Finally wandering over to the creek and we never saw it again. I recall thinking the beak was more pronounced than the photos above. Chunkier?? Forgot to say this happened 2 years ago during the summer. This kills me, Jochen. Epic! When the 10,000 Birds call to action is “that you really need to read” I read. I love it! You even committed to the entire song too – hysterical! Someone once told me that you should never let the truth stand in the way of a good story; no issues here with that. Thank you Jochen. I’m just glad that someone pays attention to what we say on Facebook! Where Are You Birding This First Weekend of September 2009?